In essence, what is known as “Paris Radio Station” was a French state broadcasting for cultural and political propaganda, with a squad made up mostly of Spaniards, many of them from the exile. A station that supposed a true window of freedom for many Spanish people during the difficult and obscure years of the Franco regime. Furthermore, just as Franco's dictatorship was adapted to the times without changing in essence, “Paris Radio Station” went through various stages throughout its history, and it had its backgrounds. Some stages and some backgrounds that must be taken into account when assessing its work in perspective. 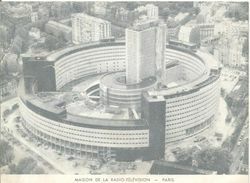 The backgrounds of “Paris Radio Station” are set in the moments prior to the Second World War, with the creation in France of the General Secretariat of Information in 1939, from which the state's propaganda broadcasts in foreign languages were developed, mainly aimed at Germany, Italy and Latin America. A valuable set of partners participated in these broadcasts, such as Francisco Diaz Roncero, Jean Camp, María Teresa León and Rafael Alberti, among many others. This propaganda initiative was short-lived. The defeat of France before Germany caused the staff disaffected to the regime of Vichy was refined, and the sense of the propaganda emitted changed radically. It became a radio station of the Third Reich. It was with the German defeat in France that “Paris Radio Station” restarted itself, dependent on the RTF (Radiodiffusion-Télévision Française), and whose broadcasts, incidentally, began in Toulouse. Under the direction of Chistian Ozanne, in 1945, a new team was made up, in which Spanish Republican exiles were a clear majority. During this stage, there were two collaborations of exceptional importance: those of "Father Olaso" and Salvador de Madariaga. The real name of "Father Olaso" was Albert Onaindia, a Basque exiled clergyman who escaped from the shooting of dissident priests, carried out by the Franco's side. From London, his place of residence, he sent his sermons to “Paris Radio Station”. These were read by the radio station announcers, and they were a devastating criticism of the dictatorship. It is said that he even managed to alert the Resistance in danger from the exile, being constantly informed of what was happening in Spain. As for Salvador de Madariaga, a regular contributor to the BBC, he lived in Oxford, and from there sent to “Paris Radio Station” his speeches, usually recorded on tape and more directly political content. Another fundamental program of this same stage was constituted, "Las Tertulias del Café Duponi", by the exiled journalist Francisco Diaz Roncero, where he spoke freely, with profusion and irony, about political issues about the Franco regime. Keeping in mind, on the other hand, that the essential purpose of those responsible of the radio station was, in relation to Spain, to give the maximum of free information without partisian affiliation or dependence on institutional organisms of exile, something considered fundamental for the survival of the same. Something that does not exclude that there were good relations between the station and the representatives of those institutions (many of them collaborators of the own radio station), or that many of the members of “Paris Radio Station” militated in the PCE and other organizations of the left. However, if in general terms the idological tendency was eminently anti-Franco, it was sought the be always under the democratic and freedom ideals promoted by France. In front of all this, the protests of the Franco government were happening. And though these protests were ignored by the French government througout the 40s, from 1951 Franco-Spanish relations were restored, which generated a series of negotiations in which, while Madrid demanded that the Republican Spanish exile be repressed and that the media critical of the dictatorship be sanctioned, Paris did the same against Franco’s policy in favour of the FLN in Argelian conflict. 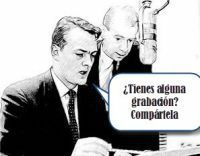 In the end, the protests and the diplomatic pressures of the Franco government ended up paying off, which mean that, among other things, the collaborations of “Father Olaso” and Salvador de Madariaga in 1957 had to be eliminated from Radio Paris. Interestingly, the RTF broadcasts destined to countries of the URSS orbit, did not know diplomatic conflicts, despite following an agressive anticomunist line similar to that of the famous “Free Europe Radio”, funded by the CIA. That same year, 1957, André Camp, son of Jean Camp and member of the station since the beginnings, took the relay like director of emissions, that definetly happened to Paris. And although there were attempts to control the station by the French authorities, especially with the proclamation of the 5th Republic, “Radio Paris” devised resources to elude them. The Franco-Spanish relationship reached the highest level of State with De Gaulle. However, there were also counterparts, initiating with him a nationalist policy, that sought to promote the French model in its entirety, hence the station received abundant funding as a means of propaganda. Emissions were created for Spain in other national languages, Euskera, Galician and Catalan. The emissions to Latin America were resumed. It counted on the collaboration of great figures of the Republican exile, of fundamental political and cultural importance. In addition, the development of programs and reports madre directly from within Spain was developed, and theatrical shows and cultural events of all kinds were organized, which were broadcast from the capital. All this, coinciding in time with the process of Spanish emigration to Europe in the 60s -with France, Switzerland and Germany as the main destinations -and the definitive opening of Spain to tourism, as a part of the development policy deployed by the Regime. 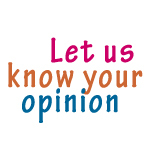 Elements to which “Radio Paris” will not be oblivious and devote spend part of their efforts. However, after the episodes of May 68, the situation of the radio station changed, going through special difficulties. In 1969, Jean Supervielle succeeded André Camp in the direction. There were serious budget cuts and the editions to Latin American were eliminated, as well as those of Galician, Euskera and Catalan. On the other hand, a new generation of non-exiled young journalists with freedom to travel between France and Spain, gradually collaborated. During this stage, “Radio Paris” was still the voice of the opposition, which also reported issues and episodes in Spain by the authorities. A situation that evolved gradually after the death of Franco, when in Spain began to become effective the process of liberalization of the press, and radio was reaching greater levels of freedom. From then, “Radio Paris” ceased to be the voice of the opposition, to become a European-style broadcaster, which showed, not longer what the exiles thought about Spanish, but how Spain looked from France and from Europe, with a very strong cultural component, and that followed closely and informed of the development of the new social movements, which in our country would still take long time to settle. It was already other times.